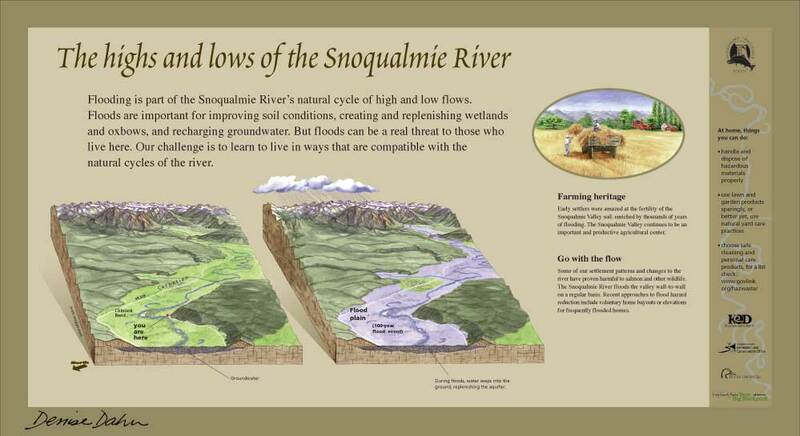 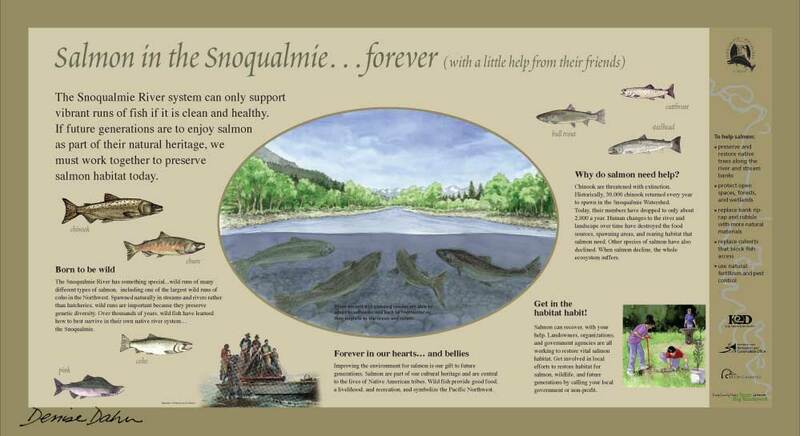 I did a series of signs along the Snoqualmie River in Washington state in several phases. 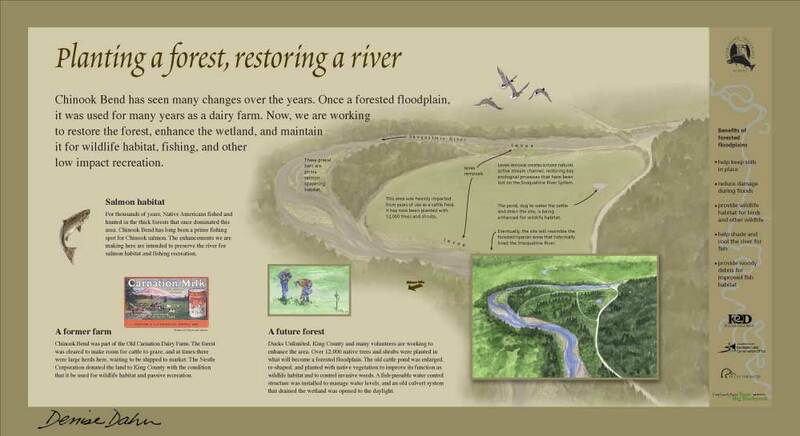 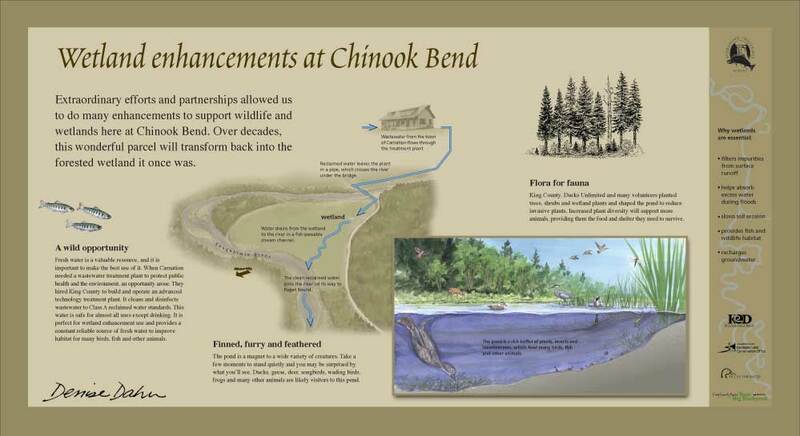 The second phase was located at Chinook Bend, a portion of the river that is particularly valuable salmon spawning habitat. 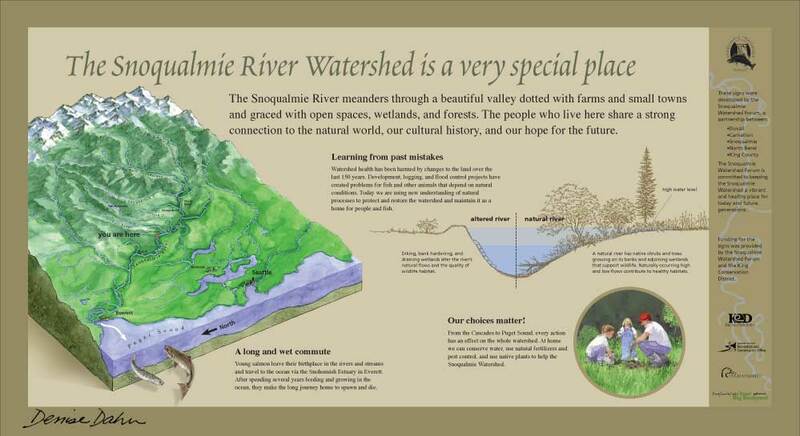 I did research, text writing, design and illustration for the signs.